The new Quinnipiac University poll surveyed likely voters instead of registered voters like it did in past iterations. U.S. Sen. Ted Cruz, R-Texas, leads his Democratic challenger Beto O'Rourke by 9 percentage points among likely voters, according to a new poll from Quinnipiac University. 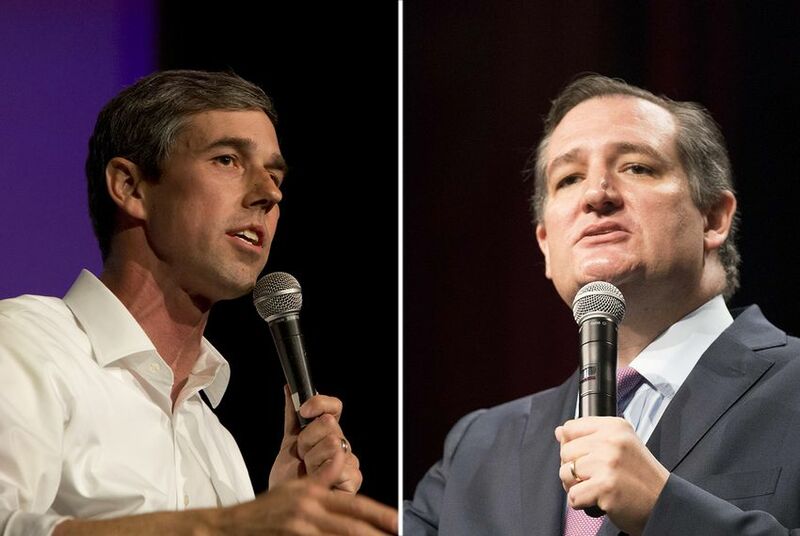 Released Tuesday, the survey found Cruz with 54 percent support and O'Rourke, an El Paso congressman, with 45 percent. Only 1 percent of those polled were undecided. "The Texas U.S. Senate race between Sen. Ted Cruz and Congressman Beto O'Rourke, and Democratic hopes for an upset win there, have boosted talk of a Senate takeover," Peter Brown, assistant director of the Quinnipiac University Poll, said in a news release. "These numbers may calm that talk." It's the first time Quinnipiac has released a likely voter survey in the Senate race. Quinnipiac previously polled registered voters three times, finding Cruz ahead by 6 points in August, 11 in May and 3 in April. Quinnipiac also surveyed the governor's race in the most recent poll and continued to find a much less competitive contest, with Republican Gov. Greg Abbott leading Democratic opponent Lupe Valdez by 19 points. In the Senate race, Quinnipiac found Cruz has a higher favorability rating than O'Rourke does. Fifty-two percent of likely voters said they like Cruz to 43 percent who said they do not, while the split was a more divided 43-42 for O'Rourke. Quinnipiac also asked likely voters about President Donald Trump — and they were evenly split, with 49 percent approving of the job he is doing and 49 percent disapproving. Trump is set to visit the state next month to rally for Cruz. The latest Quinnipiac survey was conducted from Sept. 11 to Sept. 17 and reached 807 likely voters using live interviews on landlines and cell phones. The margin of error was plus or minus 4.1 percentage points.